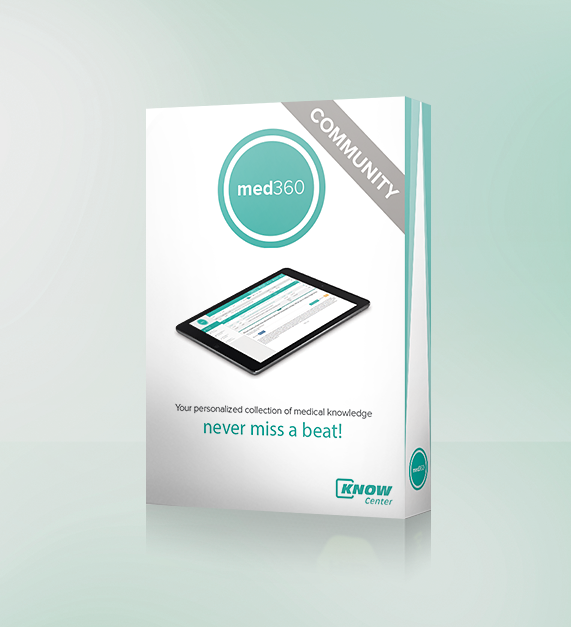 The med360 Community (FREE) enables the user to receive updates in their field(s) of interest. The user can create up to two profiles for their fields of interest. The listed publications will be saved for a period of 180 days. The user will able to search through the listed publications, receive email notifications of new publications in the field(s) of interest, mark papers for further use, use the export feature for citing, recommend papers to peers and share them via social media. We will change the way you keep up with latest research. med360 is an easy-to-use tool that automatically collects every new publication matching your interests. med360 collects data from thousands of traditional and open access journals and transforms it into your personalized stream. The result: reading articles, mark your favourites for later use, discard junk or forwarding interesting stuff to your friends and peers becomes as easy and intuitive as working with your email client.